The general perception among masses, when it comes to insurance companies, is that it is a tedious process with very little room for customer convenience. With minimum innovation strategies, customer experiences are usually of low quality. Outdated and time consuming processes are pervasive in the industry, thereby causing considerable delays in the outcome. With the emergence of artificial intelligence there can be hope for respite. AI in claims processing and underwriting in insurance is a budding phenomenon with relatively fewer companies having adopted the technology, but the potential is massive. 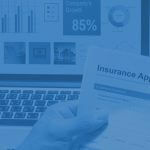 The process of automating claims and the underwriting process is one that could provide immense benefit for claims agencies and customers alike. Here we explore the concept of what business leaders in the insurance and claims industry can hope to achieve through AI transformation, so as to make informed executive decisions on AI adoption. What is AI Transformation in Claims Processing and Insurance Underwriting? The process of filing a claim has not changed much over the decades and very minimal improvisations have been noticed over the years. Claims and insurance companies have not been keen to leverage technologies that are slowly, but surely, being made available to them. It is heavily paper-based and highly dependent on a specific employee execution. This process not only frustrates the customer’s and companies filing the claims, but is quite daunting for the employees as well. Adoption of Touchless Claims: In the current process, claims go through multiple employees that severely affect the quality of the process. Through AI automation, the process of ‘touchless’ claims does not require any human intervention. 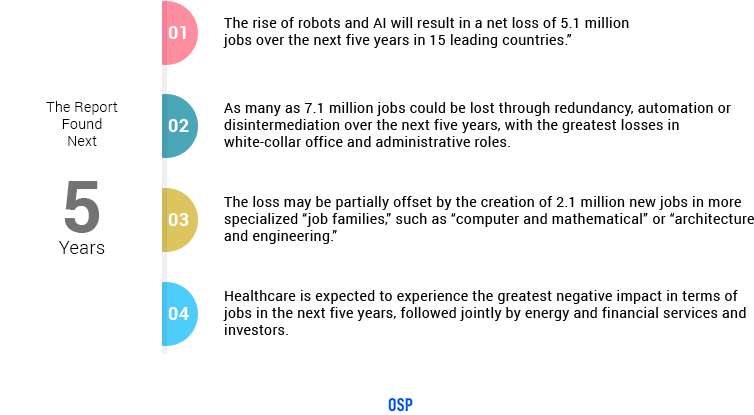 This is done through the automated reporting, capturing, auditing and communication. Chatbots: This is a technology that leverages popular messaging apps on customers’ phones to execute interaction. The technology of natural language processing and sentiment analysis allows for automated and effective communication. This brings in the much desired feature of customized interactions. Through this technology, questions can be answered, claims can be resolved, products can be sold, leads can be addressed, and coverage issues can be identified. Personalized Sales Technology: The competitive streak of the insurance market can be tackled through innovative technologies that offer personalized sales tactics. AI has the potential to rope in customer data and create a profile that targets the customer’s preferences with relevant insurance products. This cuts down on the traditional underwriting process, which is tedious and fairly ineffective. Not only can it offer customers the benefit of a personalized insurance plan, but the automation feature can alert insurance companies on risky customers without the need for invasive questioning. Telematics: This is a form of wireless communication that offers data from the customers to the insurance companies in an automated fashion through identification of GPS patters in the data. This technology is capable of tracking traffic conditions, risk factors, etc. that eventually lead to fewer claims processing and higher customer satisfaction. How important is AI Transformation in Claims Processing and Insurance Underwriting? 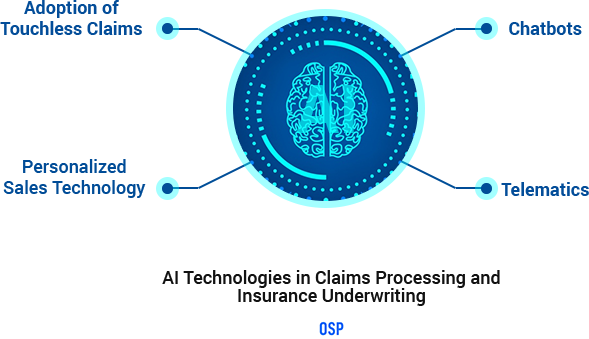 The claims processing and insurance industries are poised to benefit greatly from the benefits of leveraging innovative AI technologies. The ability to meaningfully generate and apply data through machine learning holds tremendous scope to improve insurance and claims companies bottom line and overall profit. Modern customers require modern technologies to be able to see benefit and AI is the answer that promises to fulfill the evolving demands of customers and the needs of the insurance and claims companies. 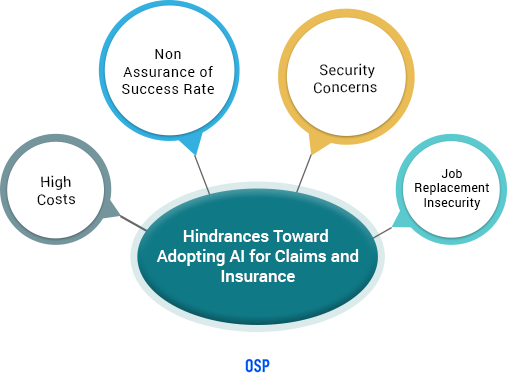 To be able to fully comprehend the advantages of AI, it would be prudent to witness the benefit of companies that have automated their claims processes and insurance underwriting process. It will be manifest that they have evidently reduced their processing time and increased their overall quality of service. More importantly, the costliest aspect of the claims processing industry can be, i.e. fraudulent claims, can be automated and patterns can be identified that flag areas, which generally go unnoticed by the human eye. What Criticism has AI Received in the Claims and Insurance Industry? Due to the nature of the technology and the fact that it is still in its nascent stage for this particular industry, there is a high cost involved in accessing superior quality data, developing models for intelligent analytics, pattern identification, training of algorithms, etc. The preliminary nature of the software has many claims and insurance agencies second guessing the advantages of leveraging the technology. Many medical practitioners are wary about these technologies since they view them as a replacement to human jobs. In January 2016, the World Economic Forum announced the publication of a report, “The Future of Jobs,” with conclusions based on a 2015 survey of chief human resource officers, chief strategy officers and other senior talent and strategy executives from 350 of the world’s largest companies in 15 countries. As many as 7.1 million jobs could be lost through redundancy, automation or disintermediation over the next five years, with the greatest losses in white-collar office and administrative roles. What are the Practical Steps toward Adopting AI in Claims and Insurance Companies? Step 1: The first step in the process is for the agency to understand the needs and the benefits and capabilities of AI. This will the company to comprehend and evaluate the relevance of AI toward those specific needs. Step 2: Once the technology has been understood and shortlisted, the next step is to identify the gaps of within the current system. An analysis of the areas that need to be addressed will keep the focus on the problems that AI is intended to solve. The value of AI should be clearly visualized with respect to the specific needs of the company. Step 3: Next in line is to align the business priorities with the cost involved and conduct and determine the value of adopting AI toward the company’s bottom line. Every investment should be directly tied to the business value it brings to the agency. Step 4: Provide the employees with an opportunity to familiarize them with the available technology and participate in offering suggestions towards AI-adoption. Very often, they can point out to hindrances and advantages through knowledge acquired from everyday workings. Also, their positivity toward AI transformation is critical to the success of the adoption. Step 6: Assign a small team of people that will periodically educate the employees and customers on the systems being incorporated and the manners in which they can be used, along with the advantages they provide. This will evade negativity from the organization toward new and unfamiliar ways. Step 7: Take gradual steps toward AI transformation rather than a complete revolution. This will assist the employees and staff to gradually adopt and familiarize themselves with changing systems. A sudden drastic transformation may seem overwhelming for the organization. Step 8: Storage, whether it is of patient data or intelligent algorithms, is an important component of AI adoption. Every organization that is looking to make the move towards AI needs to make ample arrangements for storage requirements. How is an AI Transformation of Legacy Systems Undertaken? 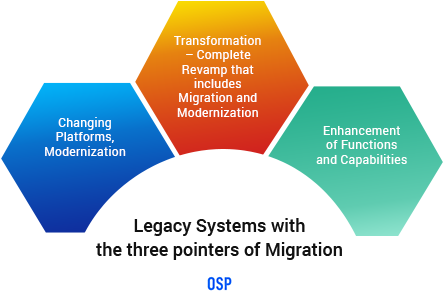 Migration: This is one of the simplest moves that an organization can make to their legacy system. It essentially involves moving the system from one platform to another that is considered more effective. The functionality and design of the system remains the same, but the speed, cost, etc. is of higher quality. Modernization: This is a slightly larger change, wherein migration and involves a change in the architecture of the system, which enhances its capabilities and functions. This generally can be done without moving the legacy system to a different platform and the capabilities are modernized and upgraded on the current platform. Transformation: This is a process that involves both migration and modernization. AI transformation involves a complete revamp of the legacy system, which offers a plethora of functions and automated systems that were previously non-existent. The entire workings of the organization are brought to a superior level of functioning. The advances being made in the world of AI, through machine learning, etc. holds many possibilities for the claims and insurance industry. Long standing problems of pricing, claim handling and fraud detection have already been successfully addressed. Large amount of data have been manageable through leveraging innovative technology that has automated most of the insurance process, including features like fast tracking claims, reduced overall processing time, enhanced customer experience and reduced costs. Additionally, intelligent algorithms have also tremendously reduced fraudulent claims through their self-learning, pattern identification and flagging ability. This is only the beginning.